Based on a recent taxonomic revision of the genus Odontarrhena in Albania, our work aimed at comparing the taxa and populations of this genus in terms of nickel accumulation and levels of other metals in relation to their concentrations in the soil at distinct Albanian ultramafic outcrops. Several populations of different Odontarrhena species were sampled from 20 different outcrops across the entire Albanian territory. Concentrations of Ni, Co, Cr, Mg, Ca, K, Fe and Mn were determined in soil, roots and shoots of all specimens sampled. Ultramafic soils across Albania showed variable metal composition, with significant differences between sites. Large differences in mineral element concentrations were also found between the plants which were not related to species identity or geographical distribution of their populations. Shoot Ni concentrations in Albanian Odontarrhena taxa depend on soil Ni concentrations but not on species identity. 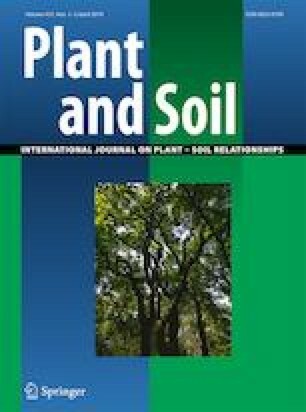 For O. chalcidica, the more widely distributed species, the environmental fingerprint for shoot metal composition was found not only for Ni, but also for Ca and Mg, the latter showing a positive linear relationship between soil and plant concentrations. Isabella Bettarini and Ilaria Colzi contributed equally to this work. The online version of this article ( https://doi.org/10.1007/s11104-019-04077-y) contains supplementary material, which is available to authorized users. This study was carried out in the framework of Agronickel (ERA-NET Cofund-supported FACCE SURPLUS project). We thank Professor Alan Baker (Universities of Melbourne and Queensland, Australia) for his help in improving the text of this paper.